What Matters Most in Purchase-to-Pay - Today and Tomorrow. 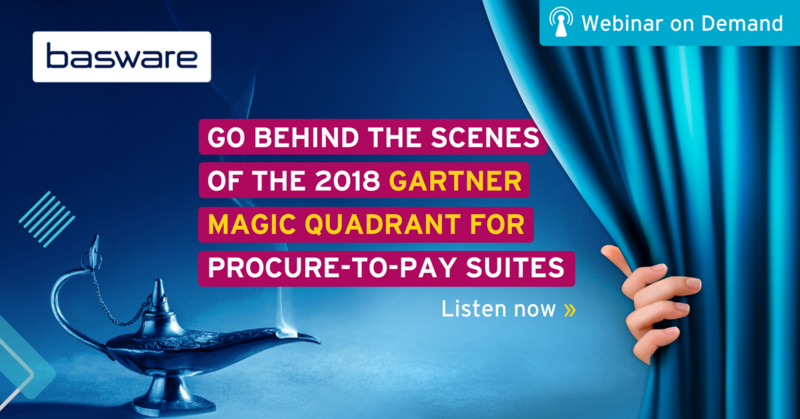 Magnus Bergfors is part of the team covering Gartner's research on evaluating and deploying procurement and sourcing technologies, cross-industry and cross-technology. Solutions covered include spend analysis, e-sourcing, contract life cycle management, e-procurement, buy-side catalog management, supply base management and contingent workforce management solutions. Eric Wilson is Senior Vice President for North America and a member of the Executive Team at Basware. Previously, Wilson served as vice president of Purchase-to-Pay for North America and APAC at Basware. Wilson has more than 20 years of experience in the North American Purchase-to-Pay business and is a globally recognized speaker on the trends and emerging technologies that seek to re-define the future of global business commerce. Prior to joining Basware, Wilson was chief operating officer of Verian Technologies, acquired by Basware in 2016.